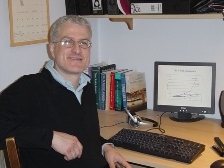 Andrew Mountford is Professor of Economics at Royal Holloway, University of London. He received a PhD from Brown University in 1993 and a BA from Cambridge University in 1988. Before joining Royal Holloway, he held positions at CentER, in The Netherlands and Southampton University. His most cited paper "Can A Brain Drain Be Good For Growth In the Source Economy ? ", published in the Journal of Development Economics in (1997), is on the dynamic effect of migration and his current research is on the dynamic effects of migration patterns on fertility and education decisions and on the world distribution of income. Andrew Mountford joined CReAM as an external fellow in October 2009.